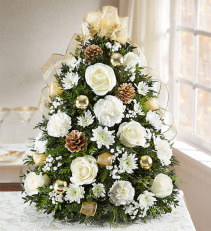 This Centerpiece is made to look like a table top Christmas tree. 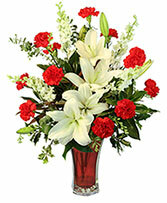 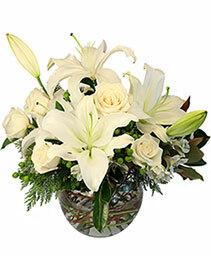 It will add cheers to your loved ones holiday. 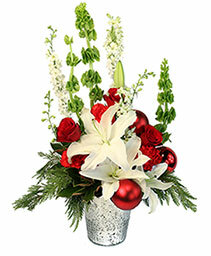 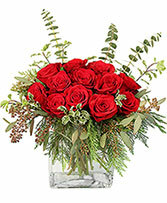 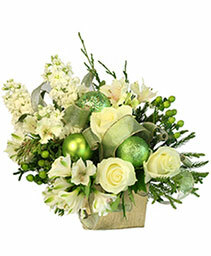 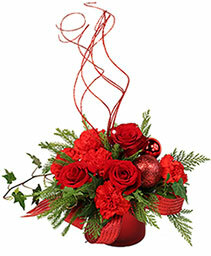 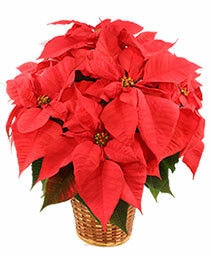 This can be used in any room you need to added a festive touch for the holiday season. 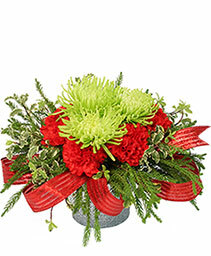 This centerpiece made of all seasonal winter greens is sure to bring the fresh scent of pine to your home for the holidays. 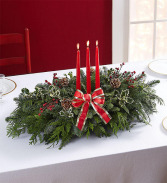 *Holly leaves will be substituted with other seasonal accents. 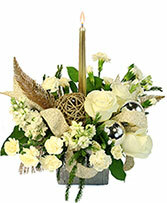 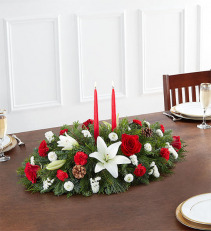 This single candle centerpiece is a traditional need for any table this holiday season.